Ventolin inhalers are the most widely used treatment for relief of the symptoms of wheezing and breathlessness associated with asthma. Repeat supplies are available to buy from The Independent Pharmacy for people who find it hard to see their GP to get their repeat prescription. Asthmatics should always have their reliever inhaler on their person in case it is required, The Independent Pharmacy makes getting a repeat prescription quick, easy and affordable. Ventolin inhalers provide effective short-term relief from asthma and can prevent asthma symptoms from occurring after exercise. 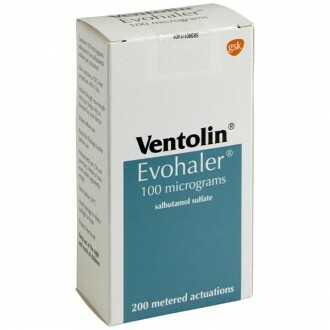 Ventolin is the most popular type of 'reliever' inhaler. The active ingredient is salbutamol, which will dilate the airways and ease breathing within five minutes. 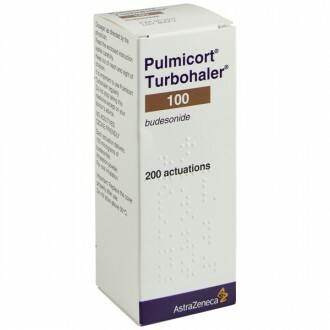 This is a very reliable inhaler for emergency asthma attacks. Two forms of Ventolin inhaler are available: the Accuhaler and the Evohaler. The Accuhaler is a plastic device which contains a 60-blister strip. Each of these contains a 200mcg dosage that combines microfine salbutamol and lactose. The Evohaler is a pressurised metal device – each inhalation contains 100mcg of salbutamol. The propellant used in the Evohaler is HFA-134a, which is much less harmful to the environment than older propellants. Each of these treatments will provide effective relief after one or two doses. Repeat supplies of Ventolin Accuhaler and Evohaler are available to buy from The Independent Pharmacy Online Doctor service, following a free consultation, to help control asthma in those who have been diagnosed by their GP. There are two general types of medicine contained in inhalers. 'Preventers' usually contain corticosteroids. These are taken regularly – they reduce inflammation in the airways, controlling the chance of an asthma attack. 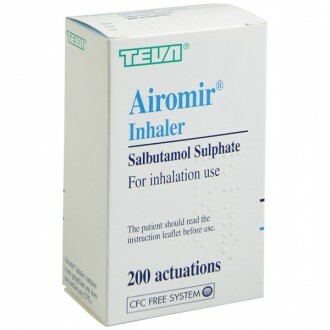 Salbutamol-based inhalers, including Ventolin, are 'Relievers'. These are used when necessary, to ease asthma symptoms. Ventolin can also be used pre-emptively before you exercise or encounter an allergen. If your asthma is mild, you may only need a reliever inhaler. Ventolin can be used alongside a steroid-based preventer inhaler in serious cases. 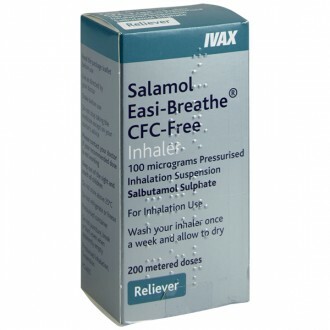 Salbutamol is a type of medicine called a short-acting beta-2-agonist. When stimulated, the lungs' beta 2 receptors relax the muscles in the airways. This causes the airways to expand, which relieves asthma symptoms, such as coughing, wheezing, tightness of the chest and shortness of breath. Asthma is thought to affect over 5 million people in the UK. It involves an inflammation of the bronchi, the tubes that connect the windpipe to the lungs. This swelling causes these airway passages to contract. It also increases the production of phlegm, which can further obstruct the airways. This leads to symptoms including coughing, wheezing, tightness of the chest and shortness of breath. Though asthma is very common, people's experiences with symptoms will vary. Depending on the patient, asthma attacks may be triggered by allergens, infections, exercise, cold air, stress, or airborne chemicals such as in smoke. It is unknown why some people have this higher sensitivity to these irritants, though family history tends to affect one's likelihood of having the condition. Nearly all asthmatics use Ventolin to control their asthma symptoms when they occur. Using Ventolin regularly can be a sign that your asthma is uncontrolled. If you take a brown steriod inhaler (preventer) you should ensure you take this regularly to keep your symptoms at bay and reduce use of your Ventolin inhaler. Ventolin inhalers should be used as necessary to ease symptoms of an asthma attack. Alternatively, they can be used 20 minutes in advance of exercise or exposure to an allergen, in order to prevent an attack. 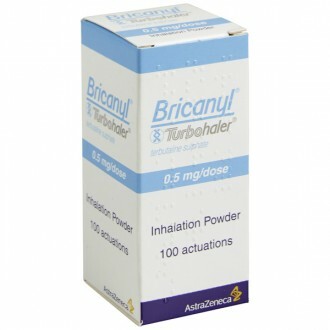 Generally, the recommended dose is one inhalation of the Accuhaler or two from the Evohaler. Do not exceed eight puffs within a 24 hour period. If you find that you require a reliever inhaler more than three times each week, this means that your asthma is not well-controlled – consult your GP to see if better treatments are available. Inhale as you press down on the top. A headache, mild trembling or shaking, cough, throat irritation, muscle pain. 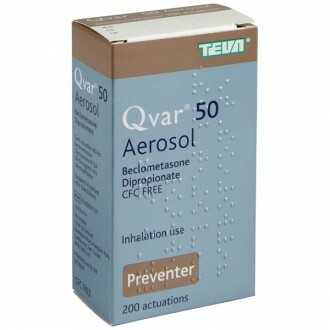 The active ingredient contained in Ventolin Evohaler & Accuhaler is salbutamol sulfate. The Ventolin Evohaler also contains the propellant HFA-134a. The Ventolin Accuhaler also contains lactose. Do not use either Ventolin inhaler if you go into early labour. What is the difference between Reliever and Preventer inhalers? Reliever inhalers such as Ventolin dilate the airways by relaxing the surrounding muscles. Steroid inhalers work by reducing inflammation. They are used regularly to prevent asthma attacks. Generally, steroid inhalers (or 'preventers') are brown whereas 'relievers' (such as Ventolin) are blue. Everyone with asthma should have a reliever inhaler. 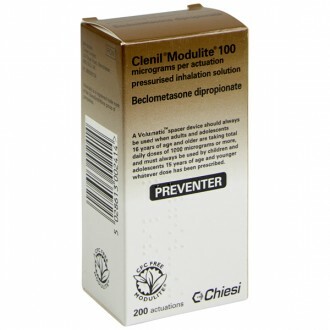 If your asthma is mild, it might not be necessary to use a preventer inhaler. How do I buy Ventolin inhalers online? You will need to fill in a simple health questionnaire so that our GPs and Pharmacists can ensure it is safe for us to supply your Ventolin inhalers to you. It only takes a few minutes, and your treatment can be delivered to your door as soon as the next working day. Are Ventolin inhalers available for next - day delivery? Yes – we understand that sometimes you will want your treatment as soon as possible. If ordered before 4pm Monday to Friday, Ventolin inhalers are available f or next-day delivery. Is it safe to buy Ventolin inhalers online? Yes – as long as you are buying from a website that is a legally operating and regulated pharmacy, it is perfectly safe to buy Ventolin inhalers online. What are the advantages of buying Ventolin Inhalers online? A wealth of information - we provide all the information you could need on Ventolin inhalers and other asthma treatments, in easy to digest formats, at a time that suits you. 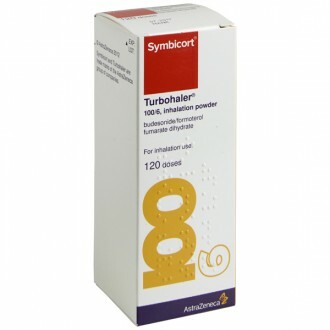 I normally get Ventolin inhalers from my doctor - why should I buy them online? Ventolin inhalers are available on the NHS from your GP if you have been diagnosed with asthma, exercise-induced wheezing or breathing problems due to allergens. This is normally where we suggest people start their treatment, to ensure that their condition is properly diagnosed and any possible serious symptoms are addressed.